Feel in love with this pram as soon as I saw it. Choose the light grey option and don’t regret it. The care cot is spacious and my little girl is very happy in it even at 5 months. She is also very happy transferred into the pushchair. We love the suspension and how easy and pleasant it is to push. The base at first was difficult to fold down as the wheels seem to have to be sideways, however I have put this down to it being new as it has became easier with time. Lots of compliments while out and about! It’s very comfortable for baby and roomy. Definitely a good, sturdy pram. Doesn’t come with foot muff. Quite heavy to lift in and out of car. Can’t fault the Venicci travel system in the send that it has been a good pram for my little one and he loves it. I would say there are just a few deign flaws. It doesn’t come with a foot muff for the pushchair part of the pram and I couldn’t seem to locate one anywhere specifically for this pram. Also, it comes with a cover for the pushchair part but doesn’t fit snug onto the actual chair so it’s gappy and just doesn’t look that attractive. The car seat cover only sticks with Velcro and doesn’t properly fit which is annoying. To be totally honest I wouldn’t buy a Venicci again, I would be likely to research into it a bit better. It looked lovely with the carry cot but my little boy grew out of that part quickly. It is large but suited me so wasn't a problem. But would be a problem if looking for space saver. Loved this pram baby was snug it was beaut to push had everything I wanted in a pram the older seat the car seat. Was easy to fold. Was literally the perfect pram for me. I have this travel system and overall it is amazing. I have had an issue with the wheel clicking but found out this is where the brake has been applied while pram has been moving (my 6 year old daughter was doing this thinking it was funny) after the plastic bits were filled back the click stopped. I do love my pram tho and am very happy I bought this brand. It has been amazing my son loves being in his pram. It folds easy and compact and is easy enough to use. Changing bag was not big enough for my needs tho but I just purchased an alternative one. Very steardy pram, and gorgeous to look at! Its a little bulky, especially the carry cot. 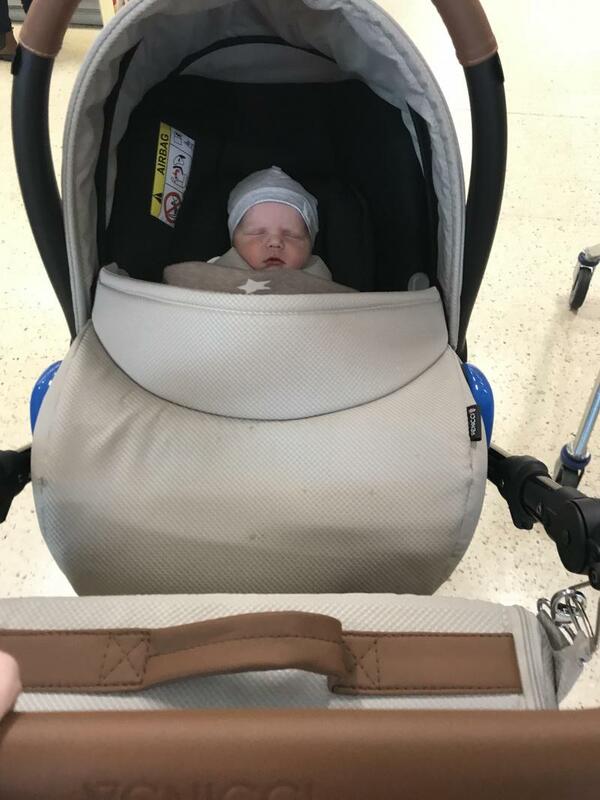 Im in love with this pram, its easy to push, built really strong and feels steardy and safe to keep your mind at easy when travelong around with baby. It comes with great features and is easy to fold away and put up. 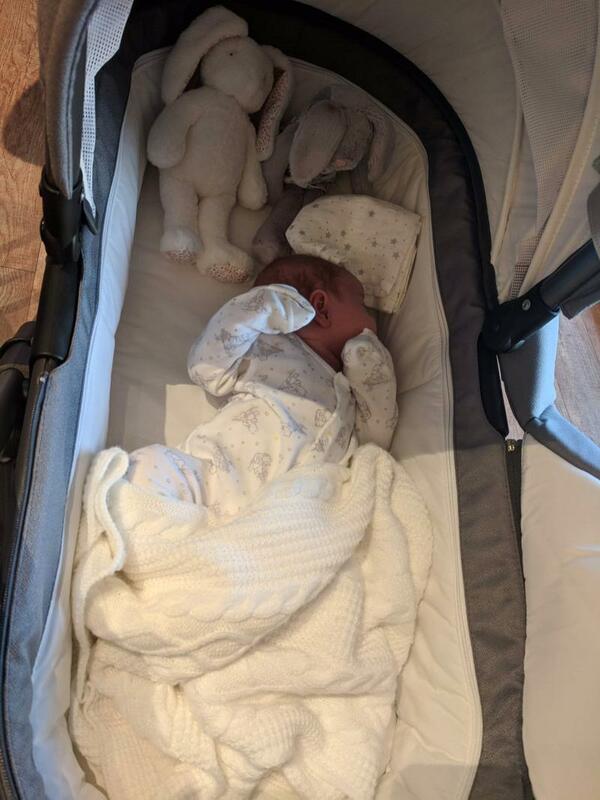 Carry cot is abit big so a big space to store is needed, it didnt fit in my boot of my car but did in my partners which was slightly bigger. This pram looks really good, fits in the car really well. Nice and comfortable for my little boy. Quite hard to put up and take down but that might just be me! Perfect pram! Looks good, easy to put together attachments, comfy for baby and amazing steering! The car seat is so easy to put into car without the isofix base. I adore my little girls pram. It’s easy to assemble and dissemble. Lovely to push and it sends my daughter off to sleep lovely. Brilliant on all surfaces. 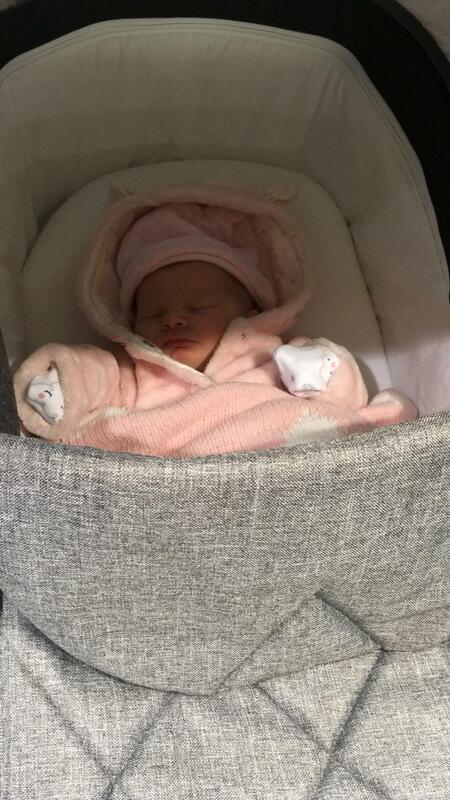 My daughter looks so comfortable and really enjoys being in her pram. At first struggled to get the hang of pushing it due to its size but soon got the hang of it. 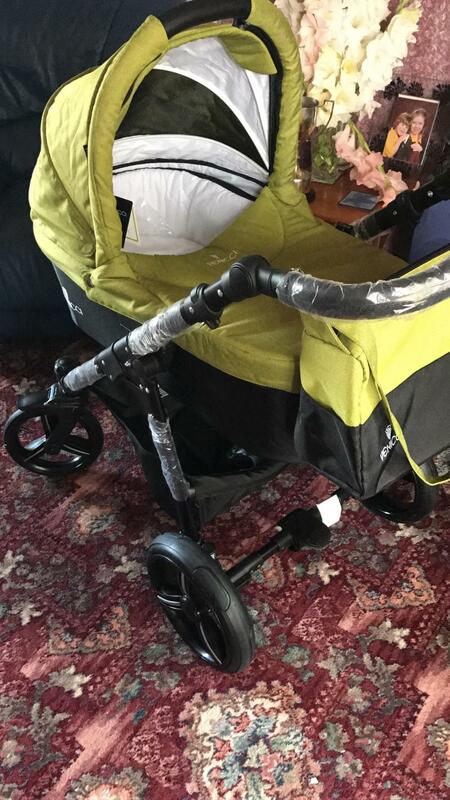 But an overall 10/10 for this product best pram I tried and brilliant value for money. I absolutely adore the venicci travel system we own. It is very durable and has had plenty of use showing absolutely no signs of wear however. 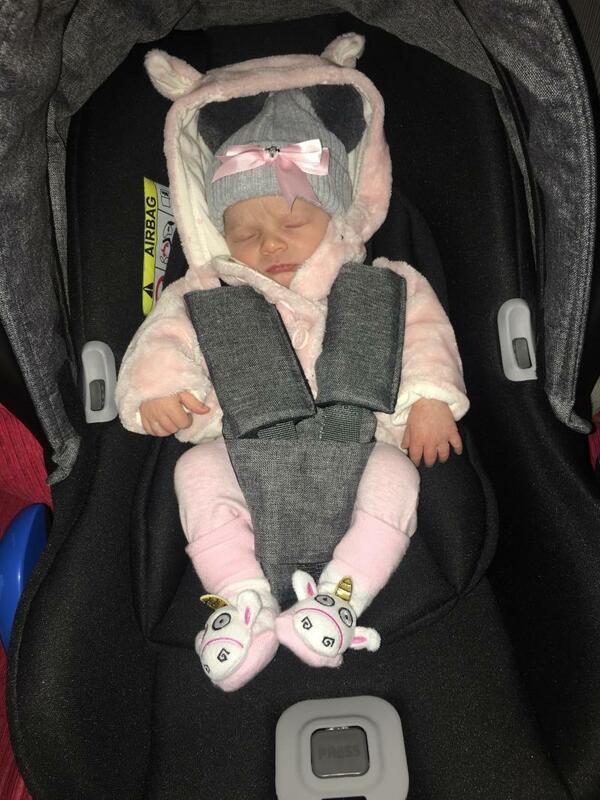 It is light weight and easy to push/manoover & my baby appears to be snug in it. The only drawback I have with it, is that it is extremely big & bulky and this did make fitting it in the car extremely difficult. It’s also quite hard to fold down and not possible to do this one handed. Overall, it’s an absolutely beautiful pushchair, and if you have a decent size boot I would 110% recommend this travel system, as it’s definitely built to last, and fantastic value for money. Looks good. So comfortable to use. This pram had no real competition in my eyes and I have no regrets at all. I have the Gusto travel system in Navy and love it. Its so comfy to push whether that's around town or out walking the dog on bumpy paths. 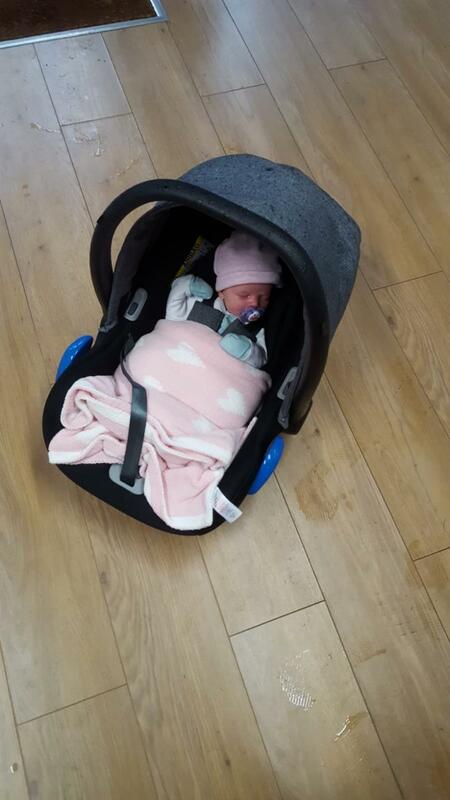 The car seat is easy to get in and out of the isofix base. I'd highly recommend to anyone looking for an attractive but highly practical travel system without breaking the bank! 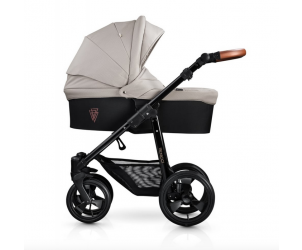 The venicci gusto is an amazing pram. I have the black version and receive so many compliments. It’s classy and stylish and will continue to be fashionable for many years-meaning I can reuse for future babies! It comes with a matching changing bag which is roomy and fit for purpose. You can add on the parasol which I did do-a life saver in hot weather! Mind as he always fell asleep. 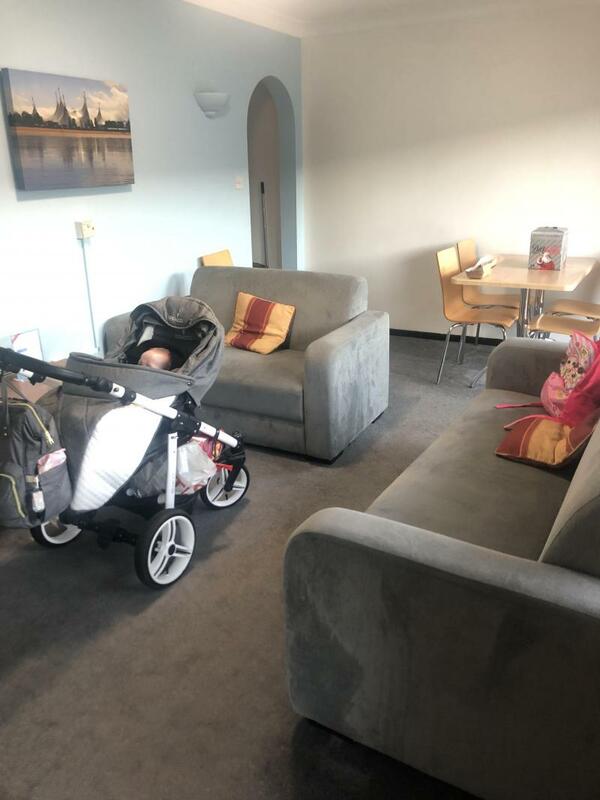 The best part is the carrycot can sit up so if you have a nosy baby but don’t want to move to the pushchair part you can sit them up comfortable in the carrycot. It’s easy to click onto the base using the adapters and matches the rest of the pram well. You don’t need to overly worry about littler ones backs. Don’t need to do with venicci as the front wheels fold in. Overall a fantastic pram and a great price for what you get! Would highly recommend this pram to anyone and everyone it's so easy to use the wheels are so Sturdy and don't wear away like some wheels do. The frame is excellent and so easy to fold up and change from pram to child seat to car seat too. It glides over lumps and bumps with ease as has shock absorbers on the back wheels. One foot breaking system also. Eveythingbis so comfy for baby and child to be in. 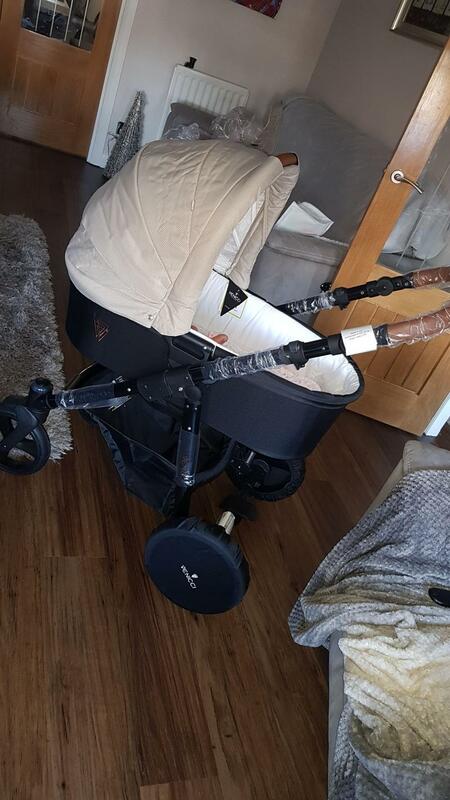 Can not rate this pram enough. So many colours and styles to choose from. I love my pram i have this one in cream. Its so lightweight and easy to push/steer. Amazing suspension for bumpy pavements as well. I always get so many compliments on how classy it looks with the tan handle. 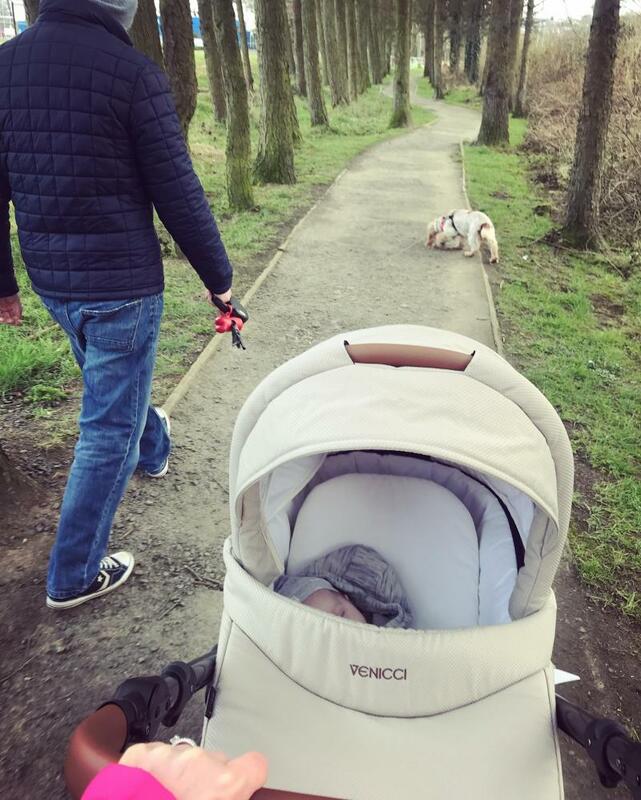 I love my pram it’s easy to control and suspension great for walks. It’s really stylish and have had lots of compliments on it. It’s a really reasonable price for all three pieces. 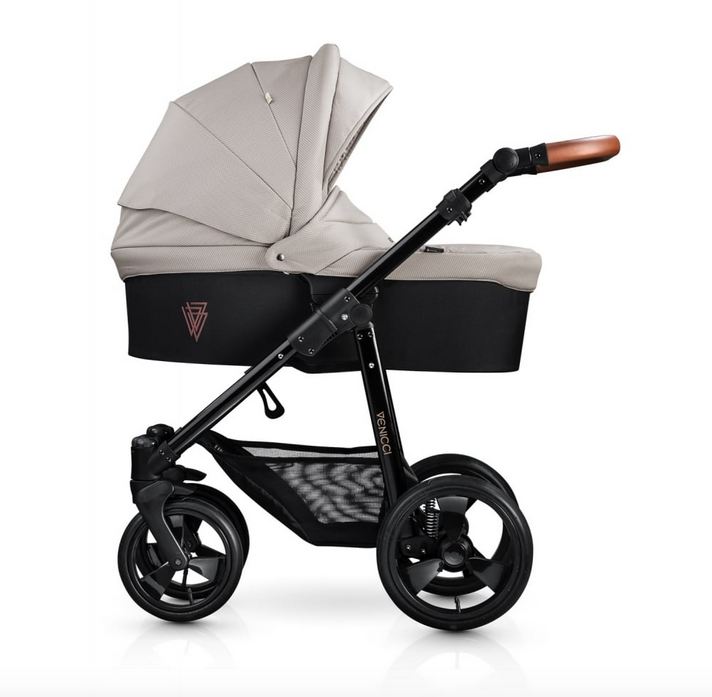 The Venicci pushchair comes with the carrycot, car seat and chair. It is very easy to fold and assemble back and the wheels and suspension are very good for any sort of terrain. I bought a bundle that included the bag, a cup holder and mosquito and rain covers. 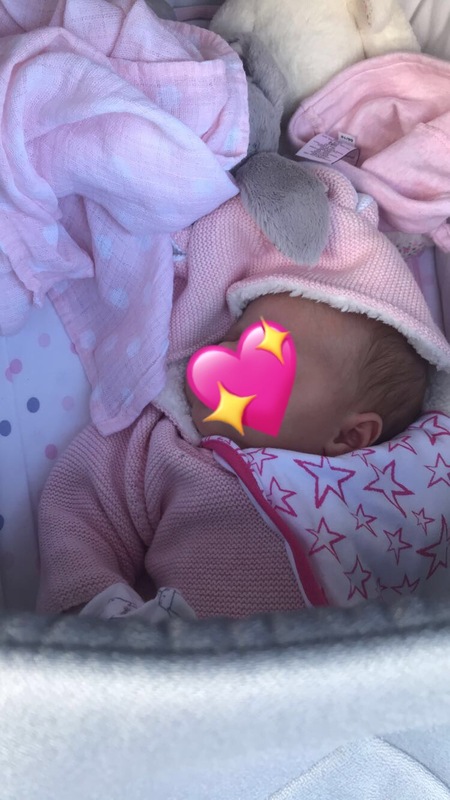 I am absolutely in love with my pushchair and baby loves it too. Great value and used for around 13 months, still in great condition. 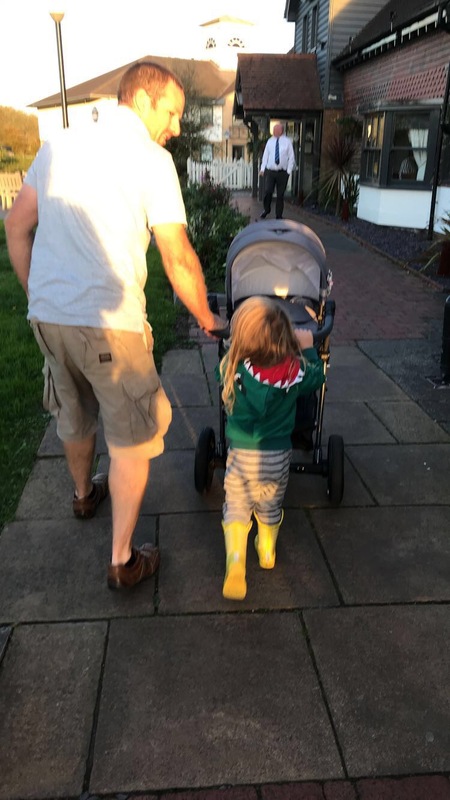 The pram looks great and the carrycot is quite spacious however as I moved I needed a stroller as it was easier to bump up the 4 steps to my house. Didn't use a car seat as I had one from a friend. The Venicci Gusto Travel System is light weight and easily transported, because of this it's also easy to maneuver. The carrycot features an adaptable backrest and has 4 positions, for when a small baby is in between the laid flat and seat unit stage. The new and updated car seat is suitable from birth up to 13kg, and can be fit on its own via seat belts or by using an ISOFIX base. All features of the travel system are suitable from birth.